Ever since the beginning of time, women have sought after eternal youth. Cleopatra and the Queen of Sheba swam in the dead sea and soaked in mud with hopes of preserving their youthful beauty. Today, celebrities like Kim Kardashian indulge in blood facials (also called vampire facials) with the same hope. Yeah, the techniques will continue to change over time. But battling wrinkles and saggy skin is something women will always try to outsmart. 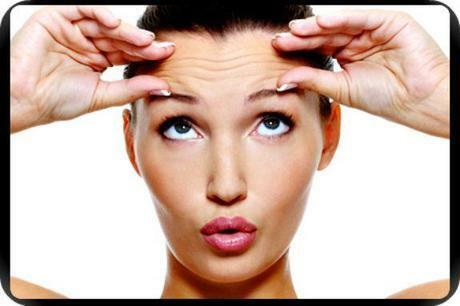 It has been ingrained into our brains the basic ways to avoid premature wrinkles. But even what you eat and how you sleep can help battle wrinkles. Check out this infographic on wrinkle prevention for other useful tips and tricks on anti-aging. There are also products that can help out because a little science never hurts. It doesn’t mean we have to suffer through cosmetic surgeries or procedures. More and more ‘no-needle’ cosmetic options are becoming readily available. We all know that we have to age. We just want to do it — gracefully. Someone thinking you’re younger than you actually are is one of the best feelings. It can make an ‘okay’ day an awesome day in a matter of seconds. Take control of your youthfulness by continually re-inventing yourself : change your mentality, change your hairstyle, try a new fashion trend. Sometimes the difference between someone looking younger and someone not is their state of mind. Enjoy life. Treat yourself. And indulge a little. And don’t forget to exfoliate and moisturize. It is a must! What are some of the weirdest techniques you’ve heard about for anti-aging? I must say. The Vampire facial totally freaked me out. Just can’t imagine putting blood all over my face on purpose. There’s also leech therapy which Demi Moore swears by. See more insane celebrity beauty rituals here.